This song is a great opener. It's incredibly catchy and easily danceable. It has basic lyrics (let's assume for arguments sake that I say the same about all the songs that follow. Doesn't mean they're bad, but the lyrics don't really vary in complexity) but it makes sense whey she used the words she did. It is an ad campaign, and it feels like it, but it's for visitors to New York, not locals. I sort of get why locals would be miffed by the song, but I like it. It's fun, and idealistic. Completely unrealistic, but whatever, you can bop to it and that's all that matters. This song immediately sounds not like a Taylor Swift song, and that works. It's almost Lorde-y, or Lorde-lite. It's incredibly catchy and has a great beat and chorus. I don't really have much to say about it, but it is one of my faves on the album. Mae Whitman dancing to it also is kind of amazing. This song also has the first mention of red lips. There will be a least two more mentions in the upcoming songs. This song is alright. It's not really my favourite but it keeps my attention. Of course, I'm making my own speculation that the song is really about a certain someone with a very similar name to the title. Red lips mention #2 appears in this song. The production value on this track is incredible. It has great layering and use of mixing and I'm pretending I know what I'm talking about but basically it aurally sounds amazing. It has a lovely line in the bridge "But the monsters turned out to be just trees" that I just adore. It's a simple thought but it is a great philosophy. I am often one to make mountains out of molehills. It's always good to get perspective and know that sometimes what you're dealing with isn't as monstrous as it seems. Boring. Moderately catchy but so meh. This was the first single off of the album, so this was the very first taste that everyone got of the new record. Honestly, I wish there were more songs like this one on the album. It's the first non-love song since Welcome to New York and even that had some heartbreak undertones. Taylor loves a love song and that's fine but I'd like some variety and this song is an excellent palette cleanser. 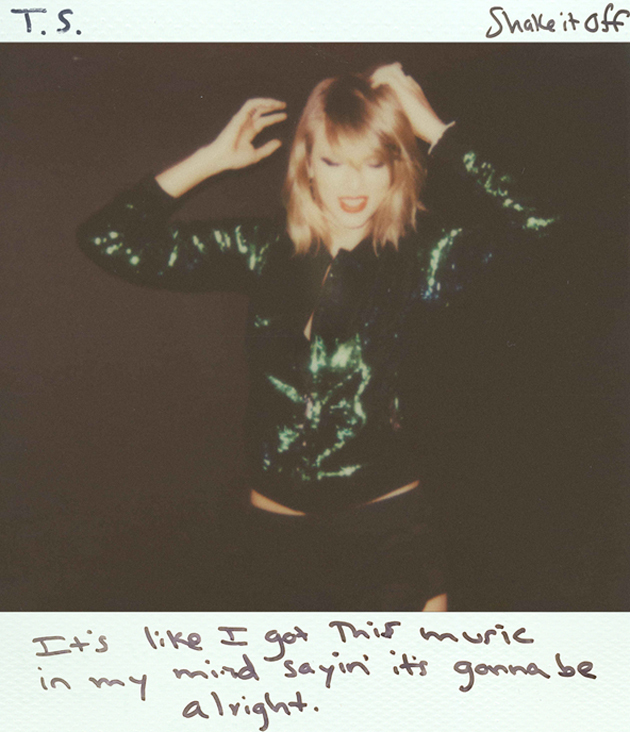 I love TSwift when she doesn't take herself too seriously and the song and the video is all just pure fun. I actually adore this song especially because it sounds so little like a Taylor Swift song. It actually mostly sounds like a HAIM song which was wholly unexpected but entirely welcome. It was co-written with Jack Antonoff of fun. and Bleachers fame (he came up with the background music) so it makes a little more sense that it's got an indie feel but this whole track was just a wonderful surprise. This is by far my least favourite song off of the album. It's not terrible as songs go but nothing about it really speaks to me. There are some Fancy overtones in the pre-chorus which was kind of interesting but that's about it. This song is gorgeous. It almost sounds like a Lana Del Rey cover which really works well for Swift's voice. Here we find red lips mention #3. God, I find this song so boring. It's so basic, there's nothing at all that grabs me. I don't love the verses in this song but the chorus and bridge absolutely make up for it. It's absolutely stunning, gorgeous, beautiful, whatever. The oooohs in particular are very nice. This is probably the most mature Taylor Swift song I've ever heard. It's haunting and dark and gorgeous. You can practically see the music video unfolding in some kind of magical forest with TSwift and her beau running hand in hand from the monsters. Everything about this song works and I WISH this had been the closing track. I think the opening lines to this song are quite lovely, but then it falls flat for me. It's boring and bland and once again nothing stands out for me. I don't really mind the addiction analogy but it's not really that inspired. It's a terrible finale for the regular album. I actually really love this song. It's got a great beat, it's catchy and it's fun. I'm not a huge fan of the Rihanna inspired 'eh eh ehs' but what can you do. The line "we both went BAD" = amazing. It kind of starts a little like Springsteen's Secret Garden, which is a far superior song. Honestly, it's a little boring, and it kinda makes me sad that this is one Jack Antonoff's too. Decent finale, but not totally solid. It's fun and perfectly fine but not a showstopper. Header image by knotjustascarf on tumblr.